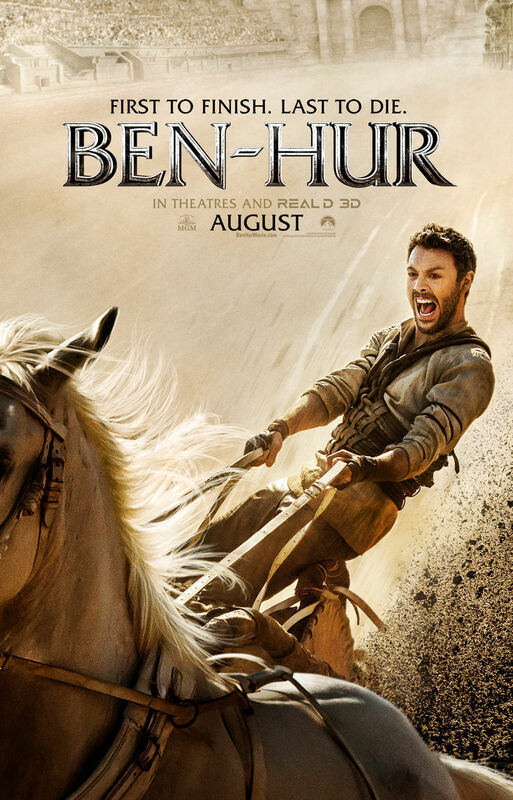 There have been almost too many film versions of BEN HUR to count on one hand, which helps erode the one criticism of this newest iteration helmed by WANTED and ABRAHAM LINCOLN: VAMPIRE HUNTER director Timur Bekmambetov. This new BEN HUR is, yes, a remake, but so too was the iconic and multiple Oscar winning 1959 Charlton Heston version. Bekmambetov's film – the fifth adaptation of Lew Wallace’s 1880 novel BEN HUR: A TALE OF THE CHRIST, following the 1907 and 1925 silent versions, the 1959 version, and the 2003 animated effort – certainly has the requisite working parts to capture the look and feel of a Biblical swords and sandals epic. Benefiting from some surprisingly strong natural production artifice and two good lead performances, this BEN HUR nearly won me over…but its reticent scripting, somewhat short running time, and laughable handling of its finale overrides any willingness to recommend. Bekmambetov seems like such an unlikely choice to helm a historical action drama such as this. His predilection towards heavy CG augmentation in his films had me worried heading into this BEN HUR. On a refreshing positive, though, he seems to be atypically striving to capture the film’s ancient settings using a heavy preponderance of location shooting combined with a fairly evocative lived-in period art design. 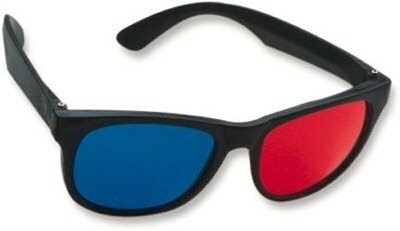 Computer effects are used throughout the film, but less obtrusively than I was frankly expecting. That, and Bekmambetov really knows how to harness a few of the film’s key action beats with a boisterous confidence (more on that in a bit) as well as generating some solid turns from a few of his main stars. BEN HUR definitely has all of the necessary tools in its arsenal to make for an effectively stirring and sweeping motion picture, but it regrettably lacks an equally assured hand in other problematic areas of the film that hold it back. Anyone remotely familiar with the story of BEN HUR – in all of its various film versions – will not be left in the dark here as to plot particulars. This version is, once again, a story of sibling love and eventual rivalry between the noble and just minded Jew named Judah Ben Hur (Jack Houston) and his adoptive bother Messala Severus (Toby Kebbell), a Roman-born man that's feeling somewhat disconnected from his family. Messala decides to make a name for himself by joining the Roman army, led by Pontius Pilate (Pilou Asbaek), whose military strategy seems to involve a lot of fierce intimidation and swift punishing of his enemies. His brother in Judah, of course, is a staunch pacifist, so he disagrees with Messala’s vocational choice, but nevertheless supports him out of love. He stays at home with his wife Esther (Nazanion Boniadi) while Messala learns the ropes of being a tough as nails Centurion. Judah and Messala’s relationship takes a turn for the worse when an assassination attempt on Pilate is committed (perpetrated by an injured man that Judah is harboring), but when Messala is forced to find answers by his commander it is Judah that claims responsibility for the attempt, a selfless act that he partakes in to spare his family. Shocked and outraged, Messala arrests Judah and sentences him to years of slave-like service on board a Roman war vessel as a rower in its galleys. After a particularly violent skirmish at seas (which destroys the ship Judah is on), Judah miraculously and narrowly survives the ordeal and is taken in and nurtured back to health by Ilderim (Morgan Freeman). During his recuperations, Judah decides that he must discover his family’s whereabouts while plotting a revenge scheme against the brother that wronged him. Ilderim convinces Judah that the only way to seek comeuppance against Messala is in a very public display of fortitude, which leads to Judah challenging his sibling in an upcoming Roman chariot race. Legendary director Howard Hawks once said that good films have three good scenes and no bad ones. BEN HUR has two that it can assuredly speak towards, the first of which being its bravura galley sequence, showcasing Judah and his fellow slaves furiously rowing the ores of the Roman ship that imprisons them. The maritime battle is exceedingly tense and claustrophobic, as we see the events transpire mostly from inside of the vessel and through Judah’s POV; it’s sensationally realized and executed. The second scene in question is the film’s climatic chariot race. The 1959 version of this race is one of the greatest action scenes ever committed to celluloid, which leaves Bekmambetov in an unenviable position of trying to recreate it. Running ten minutes (roughly the same duration as the 1959 sequence) and featuring an actual 1000-foot long arena with 50-meter wide tracks, Bekmambetov deserves credit for trying to maintain verisimilitude here. It could be argued that perhaps too many close-ups are utilized during this extended scene and the cutting is a bit too choppy for its own good, but there’s no denying how unexpectedly exhilarating it is to experience. Scenes like this are greatly complimented by the film’s solid performances. Jack Huston has charm and a steely eyed and determined conviction in the titular role that certainly carries ample baggage (Heston he ain’t, but he acclimatizes himself rather well to the challenges and rigors of the role). Toby Kebbell – a very assured actor that far too many people aren’t familiar with, mostly because his motion capture work in WARCRAFT and the recent PLANET OF THE APES films obscure his identity – gives a fairly layered and nuanced portrayal of the film’s conflicted antagonist. You gain the sense that this film’s Messala does evil deeds less because he’s a ruthlessly vile being and more because powerful forces above him coerce him to perpetrate them. Houston and Kebbell provide an effective push-pull dynamic with their characters, and by the time the film builds towards its chariot race you really gain an overwhelming sense of their brewing hatred for one another. Not all of the performances ring true, though. Morgan Freeman is clearly one of our most cherished and authoritative actors, and I can certainly understand why the makers of BEN HUR needed a name to help sell the film (Houston and Kebbell, as competent as they are on screen, aren’t established enough to cement this as a must-see effort to the masses). Unfortunately. Freeman appears bored, stiff, and nearly comatose in what clearly comes off as a paycheck grabbing part for the acclaimed actor. Then there is Rodrigo Santoro’s sort of works/sort of doesn’t performance as Jesus Christ, who's sprinkled into BEN HUR’s narrative (much like the 1959 film, but with less impactful results). I did admire the nonchalant manner he’s introduced here (engaging in some carpentry while having a quick conversation with Judah as to the nature of “loving your enemies”), but Jesus never fully emerges as a bona fide entity in BEN HUR. The 1959 film juxtaposed Judah’s resurrection with Jesus’ betrayal and crucifixion, but this remake handles it rather clumsily. This takes me to the film’s final moments, which dive into the more overt religious overtones of the central story (which is, to be fair, expected and proper), but the way in which it lazily stuffs it in during these concluding scenes feels head-shakingly rushed and inspires a bit more laughter from audiences than genuine spiritual enlightenment (the story provides such lighting quick closure to Judah and Messala’s strained and damaged relationship that it becomes really, really hard to swallow). That’s too bad, because BEN HUR is an unexpectedly proficient remake throughout that stumbles just when it’s building to something profound. Maybe this film (already 2 hours long) needed a longer running time to breathe and simmer with its overarching themes and narrative. The Chuck Heston film – at a robust near four hours – felt wholly complete. Bekmambetov’s retelling of BEN HUR feels akin to an abridged Wikipedia plot summary more often than not.